The human body is equipped with 5 basic senses: vision, hearing, taste, smell, and touch. These senses allow us to perceive the world around us in order to ensure our survival. However, there is an additional sense, one that many refer to as a sixth sense, that human beings are also equipped with. The sixth sense is not unusual or strange. Technically speaking, it can be considered intuition. 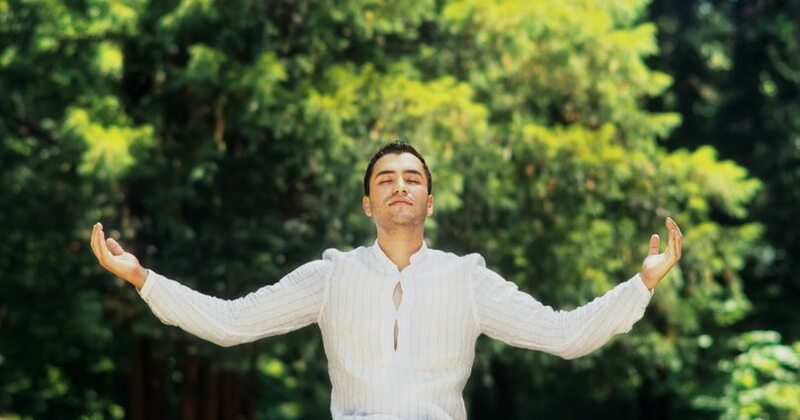 When you utilize your sixth sense, you begin to perceive the world around you through what is called “Extra-Sensory Perception,” or ESP – also known as your intuition. It’s a method whereby humans can gather information critical to survival through means not limited by the 5 basic senses. In essence, this sixth sense is tuned in to wavelengths of energy, and helps humans to navigate the unseen world. Many people have felt the sensation of “hairs standing up on the back of their neck” or goose bumps on their arms, or a bad feeling in the pit of their stomach, when something negative happens or is about to happen. This is Extra-Sensory Perception or ESP in action. The human body is comprised of energy, and the sixth sense is fine-tuned to respond to that energy. Have you ever entered into a room and instantly noticed that something was not quite right in there? Your sixth sense was picking up on something that may not have been evident to your eyes or ears. This extra sense informs you of things that are not always so obvious – for example, your sixth sense might sound like a voice in your head warning you not to trust someone, or you might just know that the person you just met is your soul mate, a kindred spirit. Intuition is very often described as an “inner knowing.” It’s a means of gathering information that the regular 5 senses don’t have access to. It quite often works by giving the body warning signs or feelings that cause one to stop and pay attention. Some people ignore this guidance, only to kick themselves afterwards. How often have you said “I KNEW I should have done that!”? What you are regretting is trusting your judgment, or intuition, at a given moment. In some cases, it can work through your sense of taste or smell, giving you a feeling of a bad taste in your mouth, or a bad (or good) smell you can’t quite pinpoint to what you see around you. Can you develop your own ESP? 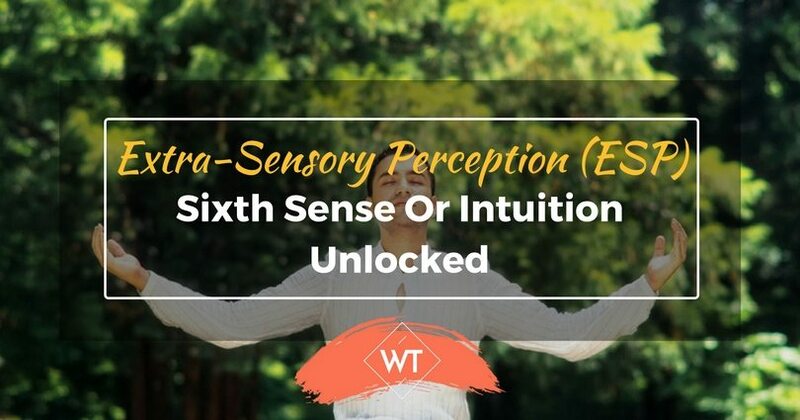 While we are all equipped with 6 senses, it takes a certain level of time and patience to develop one’s own Extra-Sensory Perception or intuition if it’s not used on a regular basis. Many children are born into the world with an inner knowing, but are told to ignore what they sense and pick up intuitively because it might appear strange to others. So they purposely shut it down, only to realize they very much need it later in life! 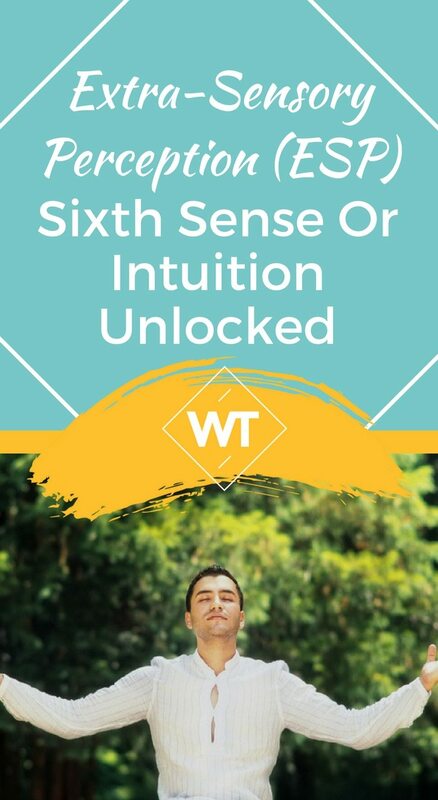 Once you decide to start to develop your sixth sense, it can be a wonderful adventure, offering you insights and guidance you may never have thought possible. All you have to do it set the intention to begin the journey, and you will absolutely begin to notice your intuition working for you.